Again, it’s a subtle change. The theme of Spring runs through the merchandise (more dresses for women, more polos for men), the food (cupcakes and the like) and the extra fun things that you can add to make your experience at Disneyland more unique than the last time. 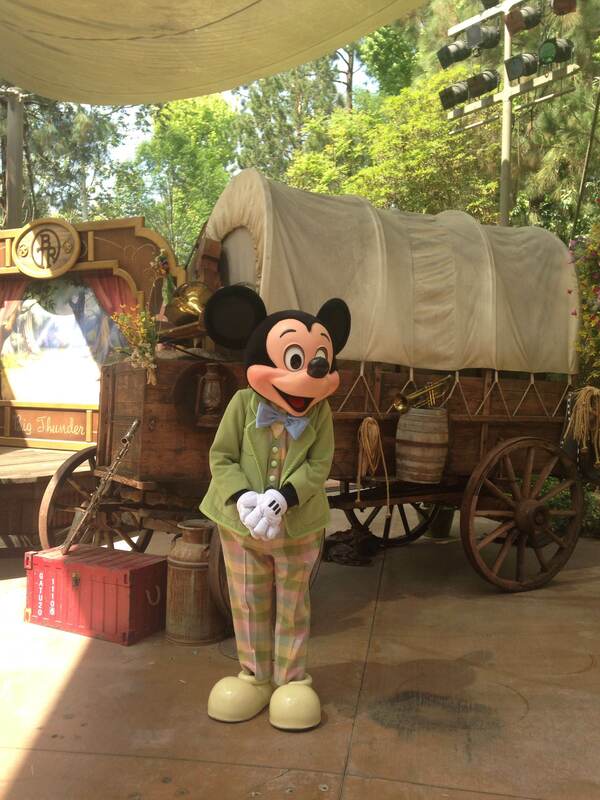 The Disneyland Resort’s Egg-stravaganza returned this year at the end of March. 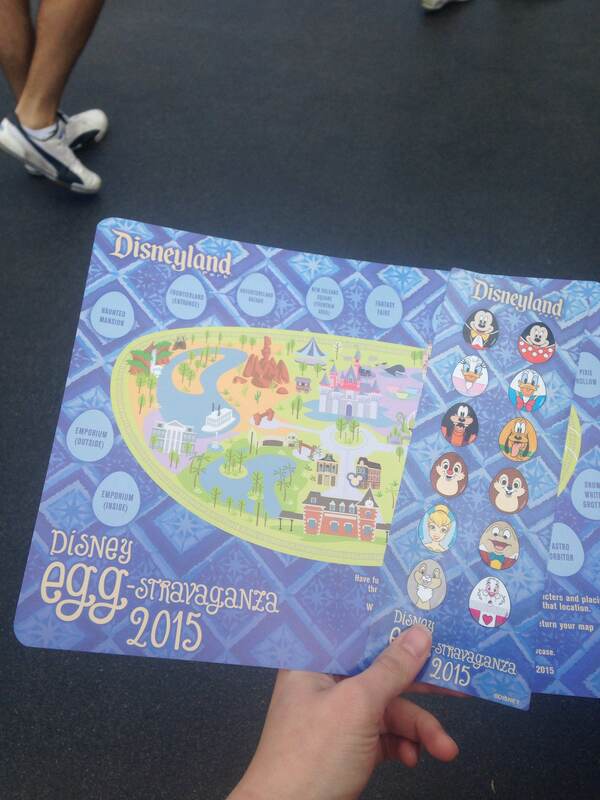 Disneyland Park and Disney’s California Adventure Park each have their own maps and egg hunts to complete. Supposedly, it was supposed to last until April 20th, but I believe they have sold out of maps for this year. 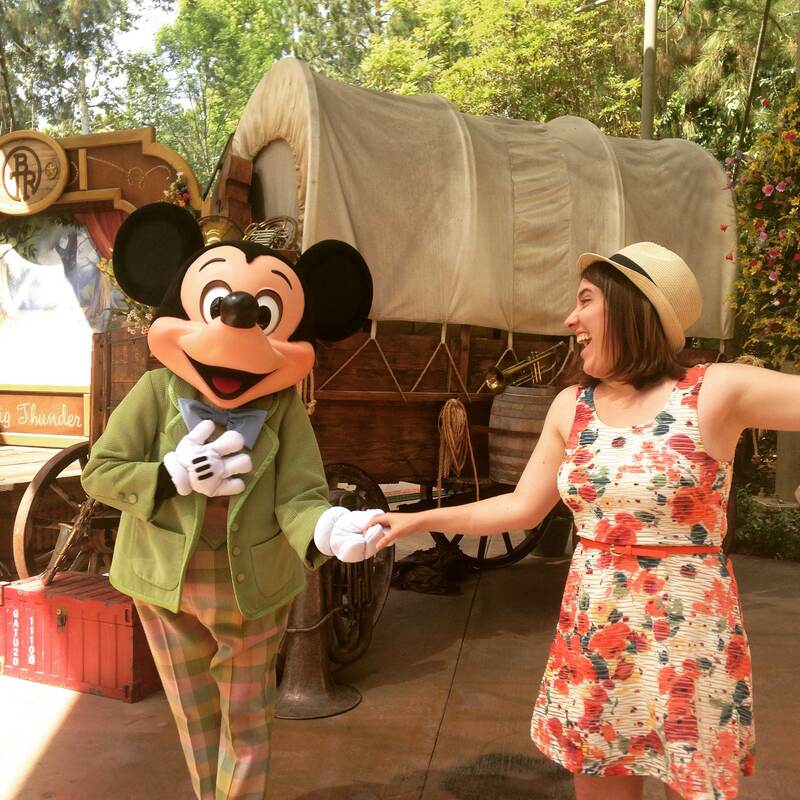 A few days before Easter, Jen and I decided to have a Springtime Adventure at Disneyland, as you tend to do when you need a break from the hectic things in life. We picked up a map for around $6 at Disney Showcase on the end of Main Street and began our search. 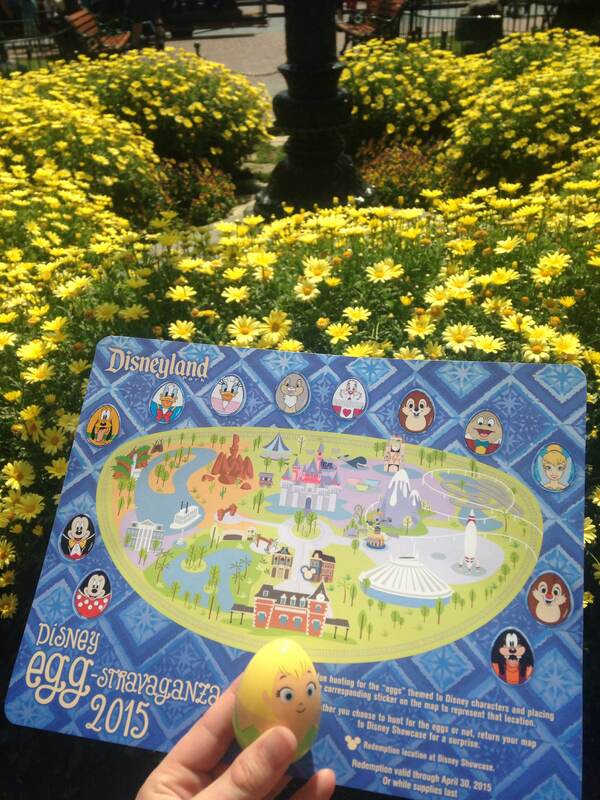 A clue was given as to each egg’s whereabouts and stickers were included to complete your map when you found each egg. Our first stop was outside the Emporium on Main Street. We looked in the display windows and high up above the signs before we spotted a Mickey Mouse egg. There was another family on the hunt for Easter Eggs. Mom had the kids posing under the egg, pointing up at its’ location for a picture. The next egg was inside the Emporium. The Emporium itself is quite a large store so we took our time. We kept our eyes up towards the scenes and decorations that theme each room and tried not to bump into people and fixtures because we weren’t paying attention to where we were going. We found a Minnie Mouse egg hidden with the toys. We noticed another family had also found Minnie the same time we did and concluded that most people who had the map today would go clock-wise with their maps so we decided to be different and go backwards. The next egg clue was for the Astro Orbiter in Tomorrowland. Cool beans, that’s an easy one, it’s right when you enter Tomorrowland. We bolted over to the Astro Orbiter and circled it at least 3 times, looking up on the top of the attraction, the middle, the bottom, at the booth where the Cast Members operate, and in the planters that lined the queue while trying not to creep out the people standing in line. “Maybe it’s more towards the outside of Tomorrowland by the rocks,” I suggested. So we fanned out. Nothing. We got too close to Pixie Hollow so we backtracked. 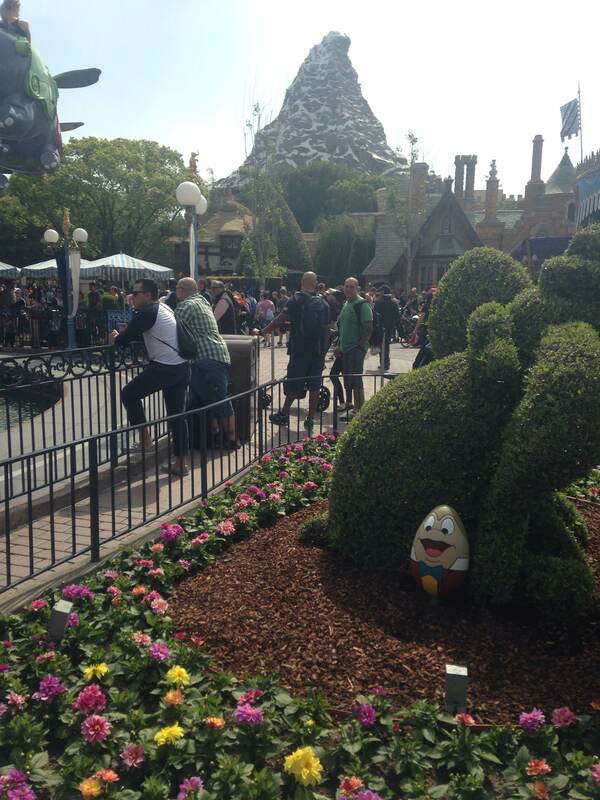 A helpful tip from an Annual Passholder later and we finally found the Goofy egg on the outskirts of Tomorrowland, tucked in a planter. I’ll give Disney this: at least the hunt wasn’t too easy. Next stop: Snow White’s Grotto. Snow White’s Grotto is a lovely little alcove to the right of Sleeping Beauty’s castle. There is a wishing well where you can make a wish and throw in a penny and whatever is thrown in is collected and donated to various children’s charities. On our way, Jen and I stopped and oohed and nit-picked at the 60th Anniversary decorations that adorn the Castle. 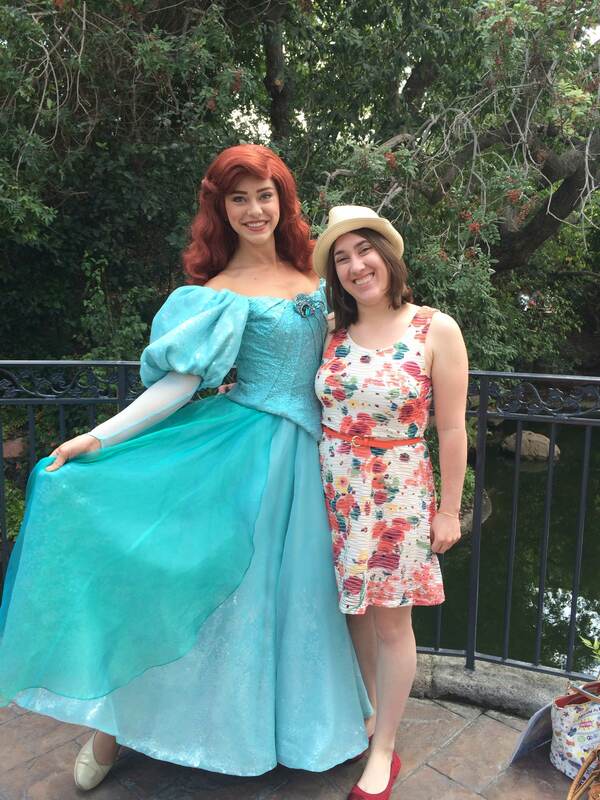 While we were gazing, Ariel casually walked past us, holding hands with a little girl and asking her about the “bubbles” (polka dots) on her dress. Of course, we had to stop and get pictures. She asked me if a Prince had picked the flowers on my dress for me. We found a Dale egg hidden in the bushes, threw a couple of pennies in the Wishing Well for good measure and continued our hunt. 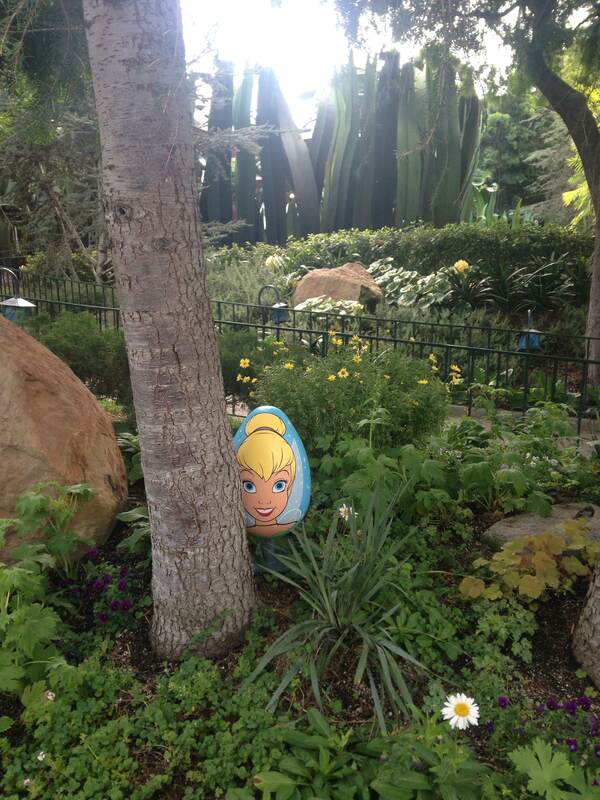 The next egg, Tinkerbell, was probably the easiest to find. 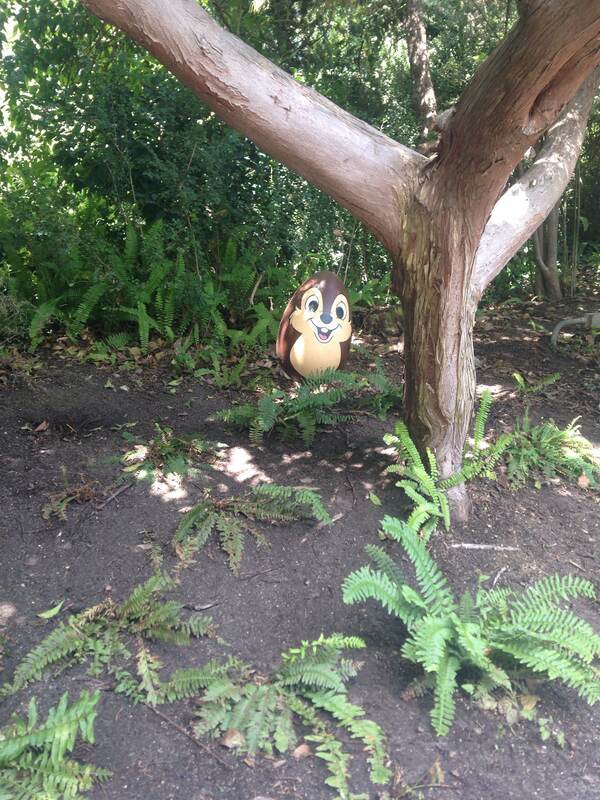 It was situated along the pathway towards the Matterhorn, right outside of Pixie Hollow. 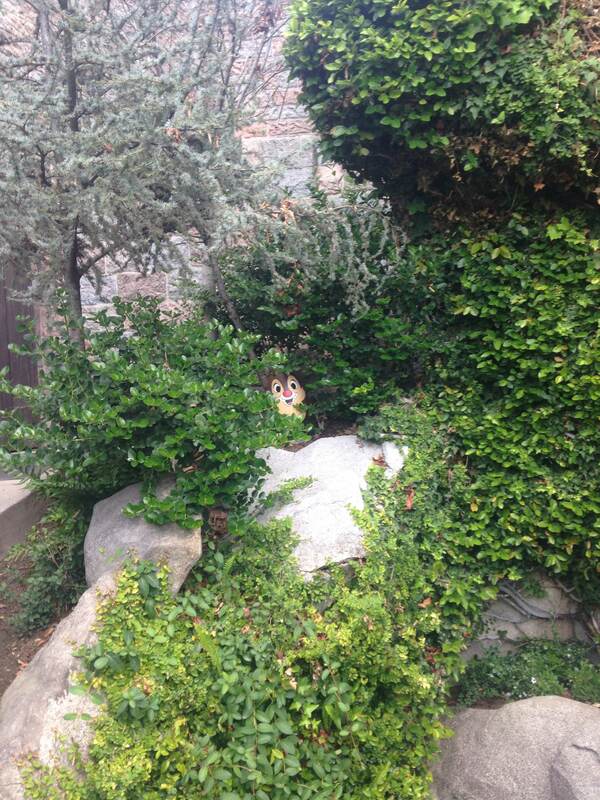 We circled back into Fantasyland to find the egg hidden next to the Dumbo attraction. 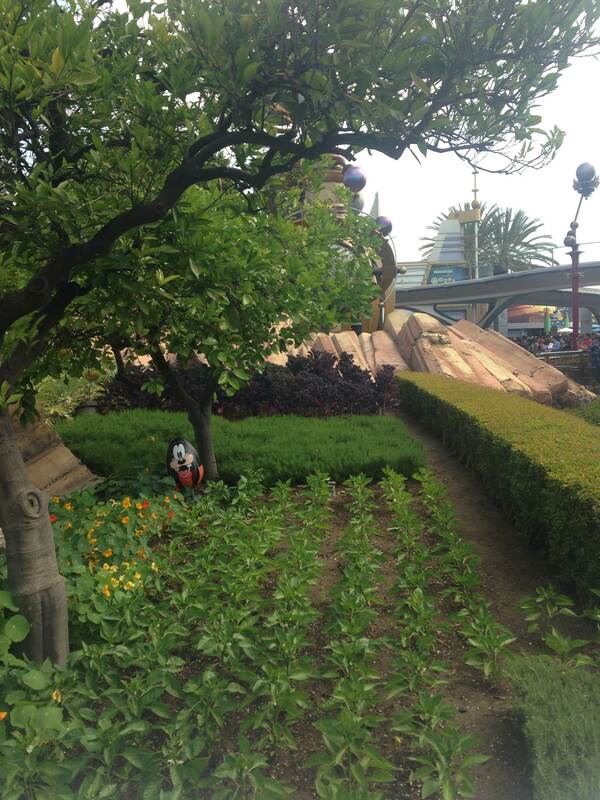 Again, we looked on the attraction itself before searching the planters around it. 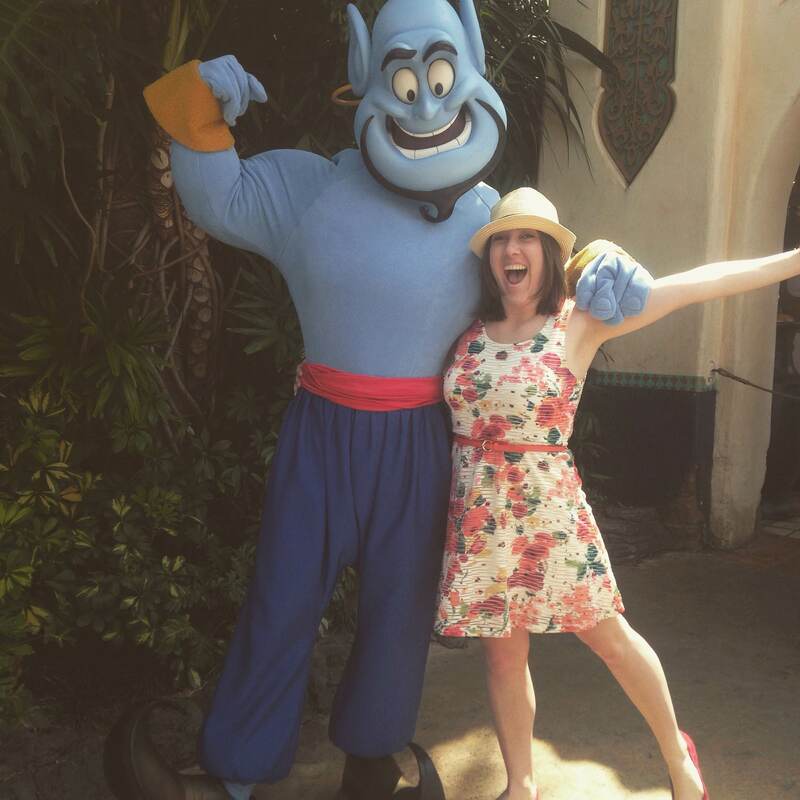 It was tucked next to a topiary shaped like Dumbo. We stopped for a quick chat with Peter Pan, who boldly told us that he knew the locations of two of the eggs on our “treasure hunt” but he wasn’t going to tell us. The Chip egg was hidden behind Stromboli’s Wagon, the two wagon stands next to the Casey Jr attraction and across from the Village Haus restaurant. 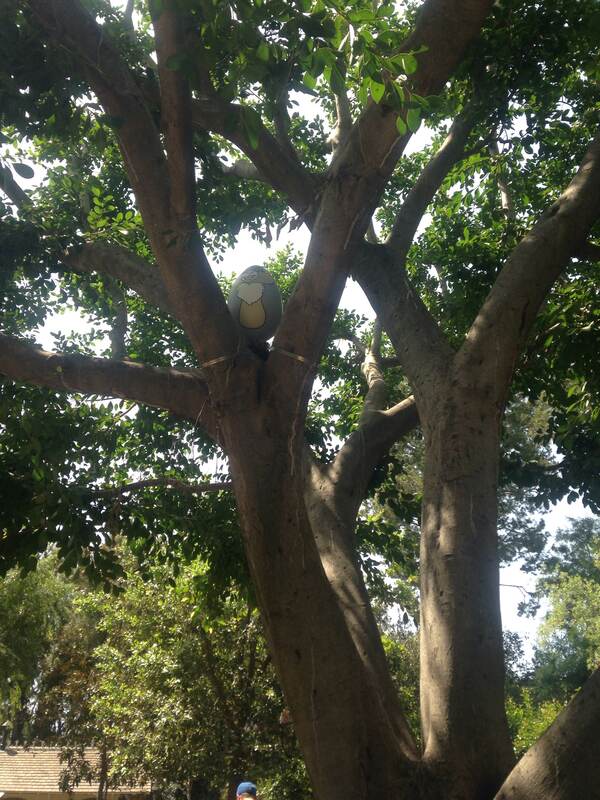 The eighth egg on our hunt was a little tricky, mostly because we started off looking in the wrong place. The clue was Fantasy Faire, which we assumed meant the Fantasy Faire mini-land that had recently been added to the left of Sleeping Beauty’s Castle. Again, after some fruitless searching, a helpful Squire told us that Fantasy Faire in this case meant the old Princess Meet-and-Greet area by It’s a Small World. We headed over there to look through the planters and came up with nothing. 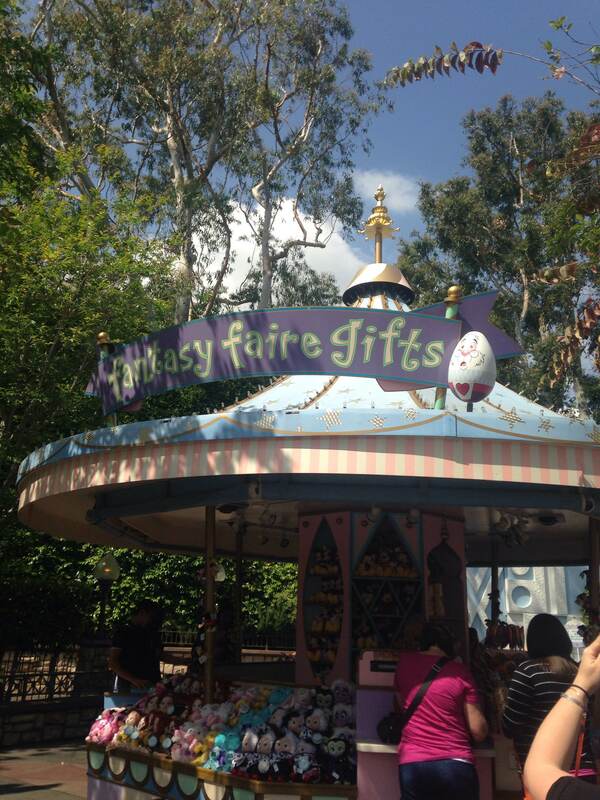 We headed back out towards the front of It’s a Small World and found a White Rabbit egg perched atop a small gift stand outside the attraction. Guess what it was called. We literally walked right past it. Not our finest moment. 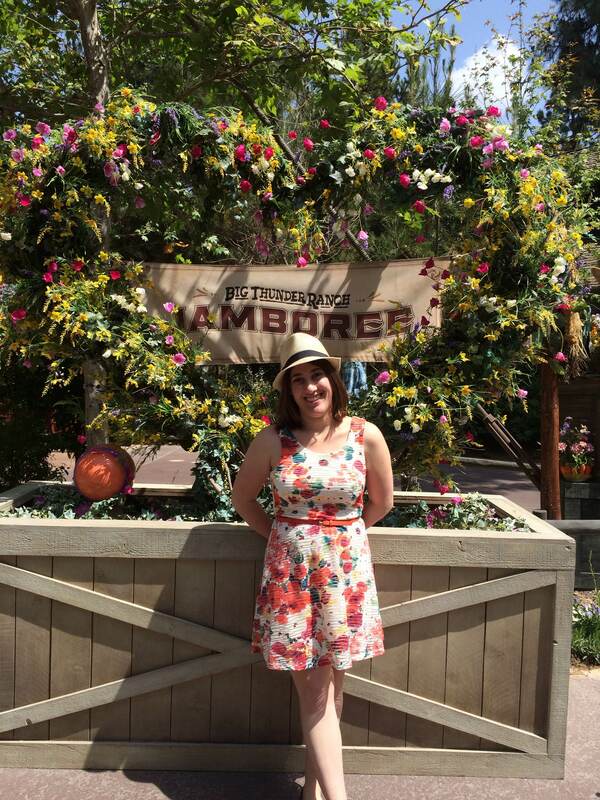 On our way over to the other side of Disneyland, we stopped to see the Springtime festivities that had been set up at the Big Thunder Ranch Jamboree. The Big Thunder Ranch Jamboree is a small area behind the Big Thunder Ranch restaurant (which has fantastic barbecue) that is consistently changing with the seasons. The Springtime Roundup boasts an arts-and-crafts area where you can decorate bunny ears or decorate cookies. Lovely stunning egg artwork and decorating demonstrations are in another area. Cowboys and cowgirls and a very lively fiddler are there for entertainment and dancing. 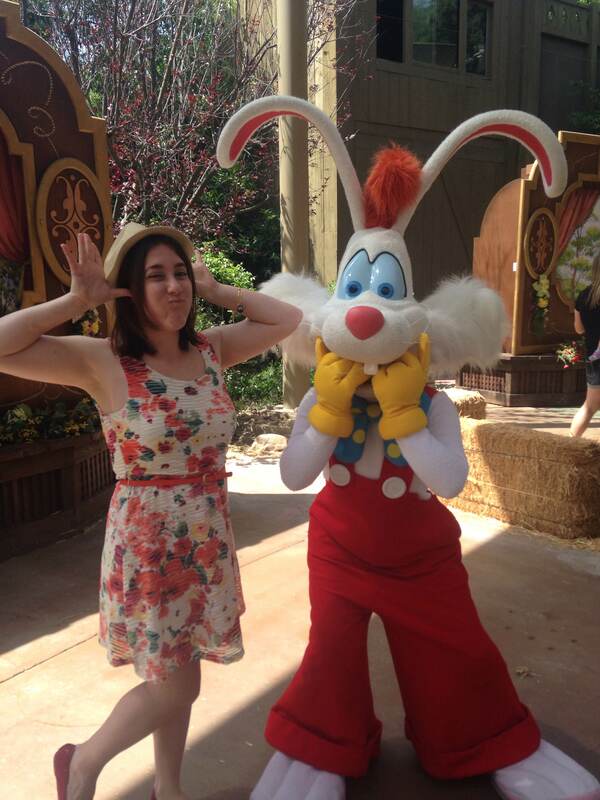 We were mostly there to see the bunnies, or characters that you usually don’t see out and about very often. 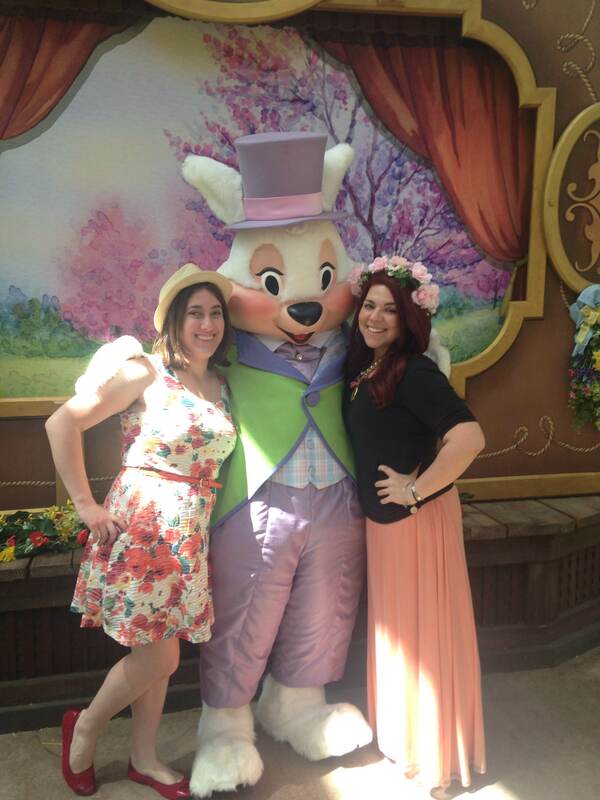 We met Thumper (from Bambi), the White Rabbit (from Alice in Wonderland), Roger Rabbit and, of course, the Easter Bunny himself. 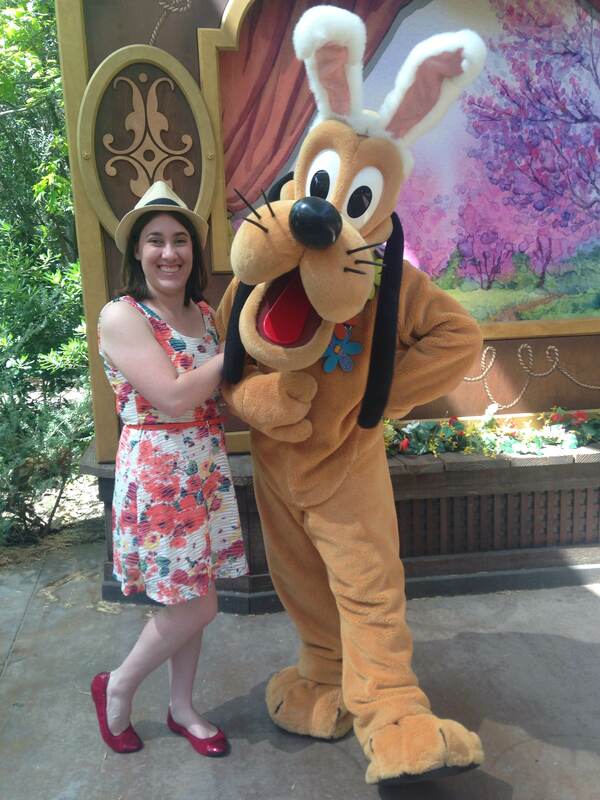 Pluto was sporting his best Bunny look. 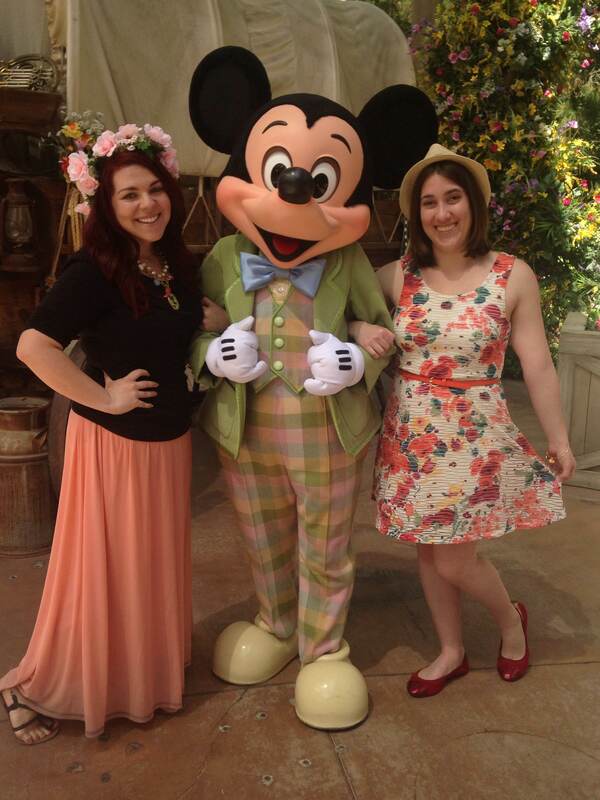 And the boss showed up in his adorable Spring attire. He was too cute. 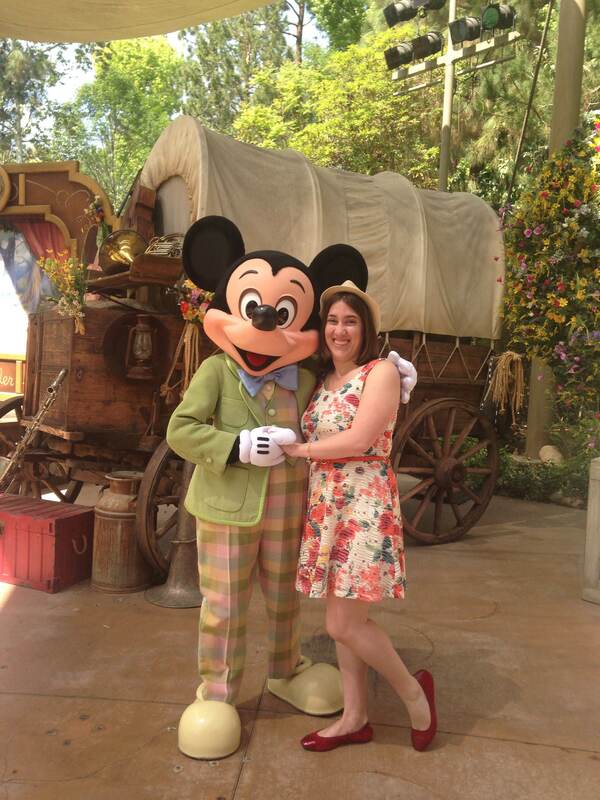 Mickey spun me around and gave me a kiss on the cheek. I felt like a little kid again. 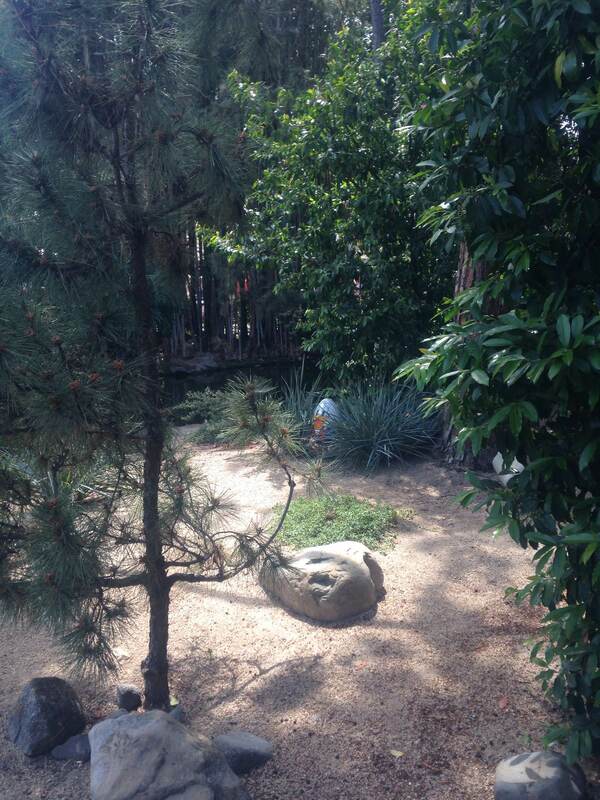 We continued on our Egg Hunt through Adventureland and Frontierland. Donald was nestled outside the Frontier Land entrance (next to where a family of ducks had made their home fittingly enough). 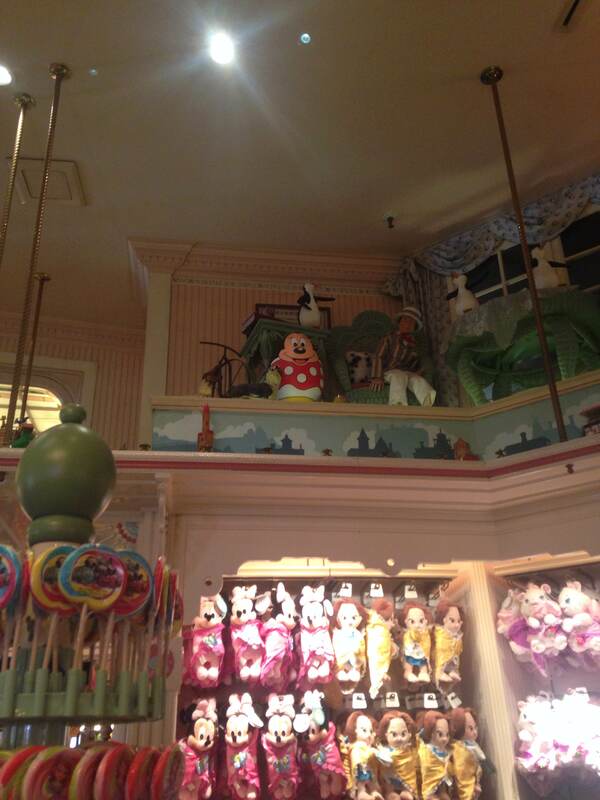 Daisy was located high outside the entrance to the Adventureland Bazaar shop. We headed over to the Haunted Mansion area in New Orleans Square to find the last two eggs. The Thumper egg was hidden very well. 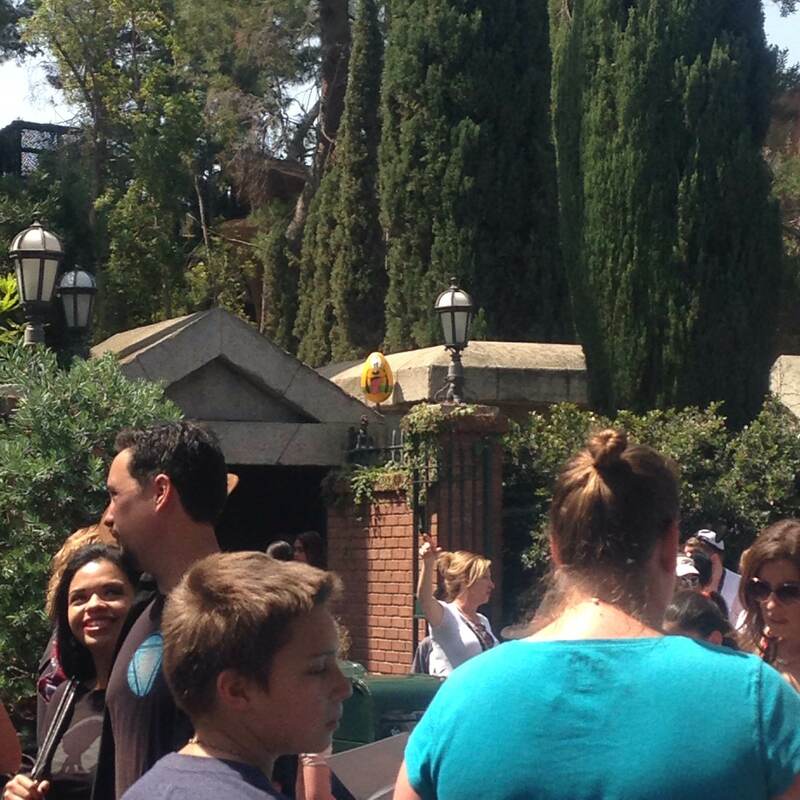 The clue mentioned the fountain area of the Haunted Mansion so we scoured that area and then remembered to look up. He was up in one of the trees. 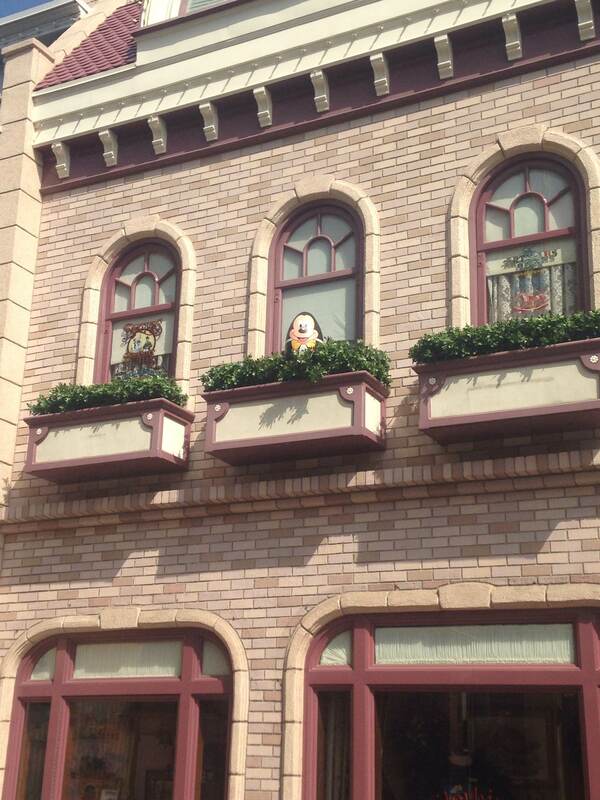 Pluto was nesting outside the exit of the Haunted Mansion, in an obvious yet easily missed spot. 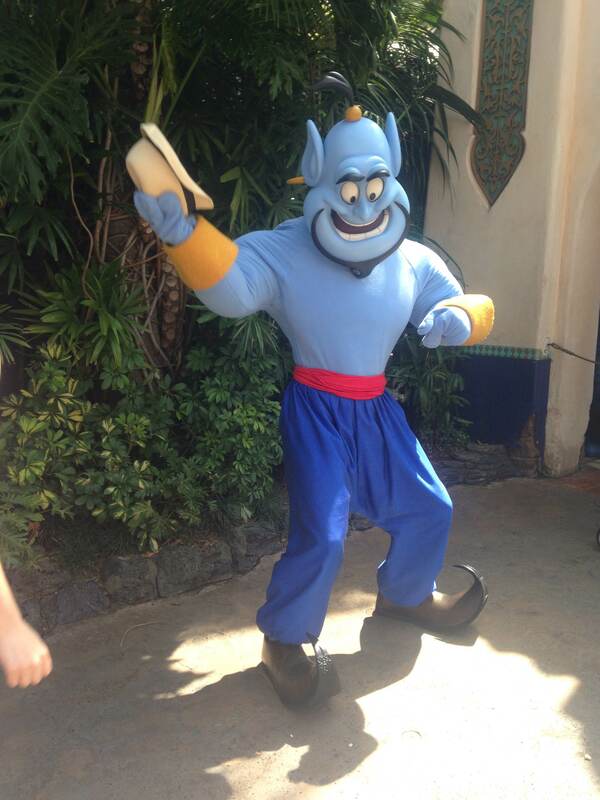 On our way back to Main Street to collect our prizes, we saw that the Genie had come out to play. We squealed and jump in line. 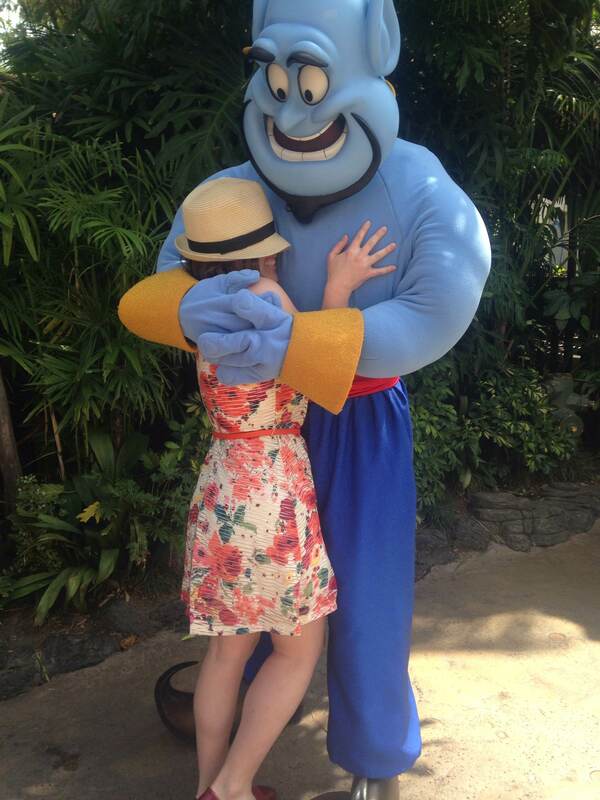 He stole my hat, danced around, smushed me to his chest in a giant hug and posed for a wonderful picture. It was wonderful. I couldn’t stop smiling. 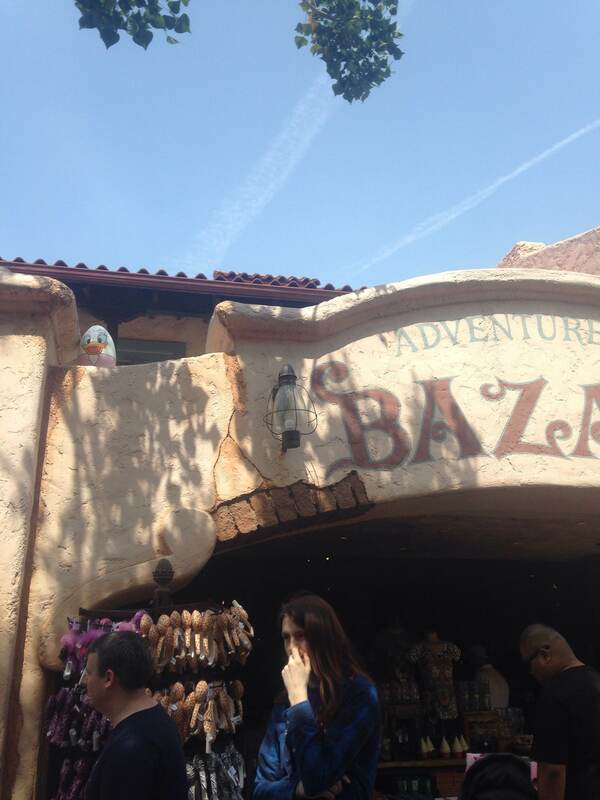 Those kinds of interactions are what I love about going to Disneyland. Back at the Disney Showcase, there was a little table outside that held 10 different eggs. Hidden underneath each egg was a surprise: a tiny replica egg, similar to the ones we had spent the past few hours hunting. At the end of the day, we treated ourselves to a job-well-done with an ice cream sundae. I was all set to just get a couple scoops of cookies-and-cream in a cone but then I saw the sign for their new Spring Sundae inspired by the Frozen Fever short, the Cast Member gave me a sample of the birthday cake ice cream that was in it and I was a goner. I’m a little over all of the Frozen-themed things but I can make an exception for ice cream. Besides, it’s birthday cake ice cream. With hot fudge, mint-flavored marshmallows, brownie pieces, lots of whipped cream and chocolate pieces in a waffle bowl. The Egg-stravaganza was a nice way to spend the day. 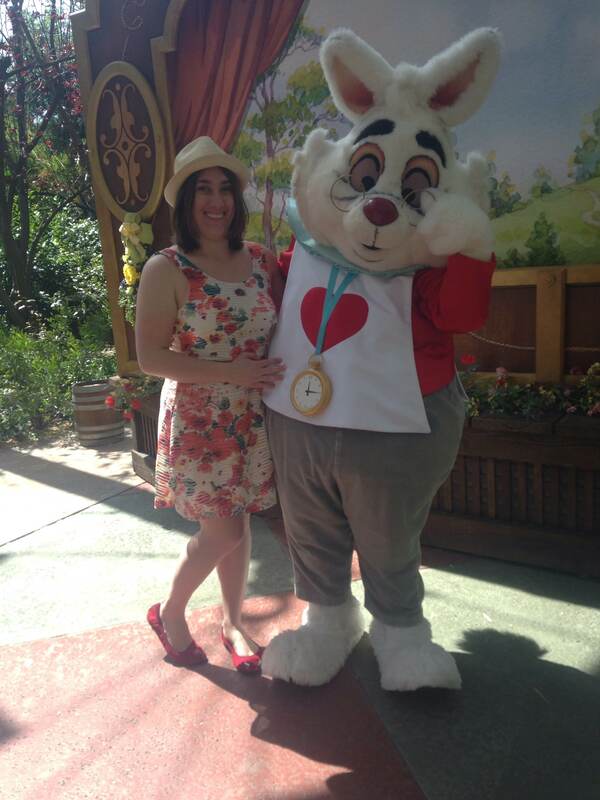 Overall, the hunt itself didn’t take too long, and we got distracted by bunnies and other characters because when you are in Disneyland, you can’t help but enjoy yourself. We didn’t even get to the one at California Adventure, but I do like the idea that both parks had their own versions. 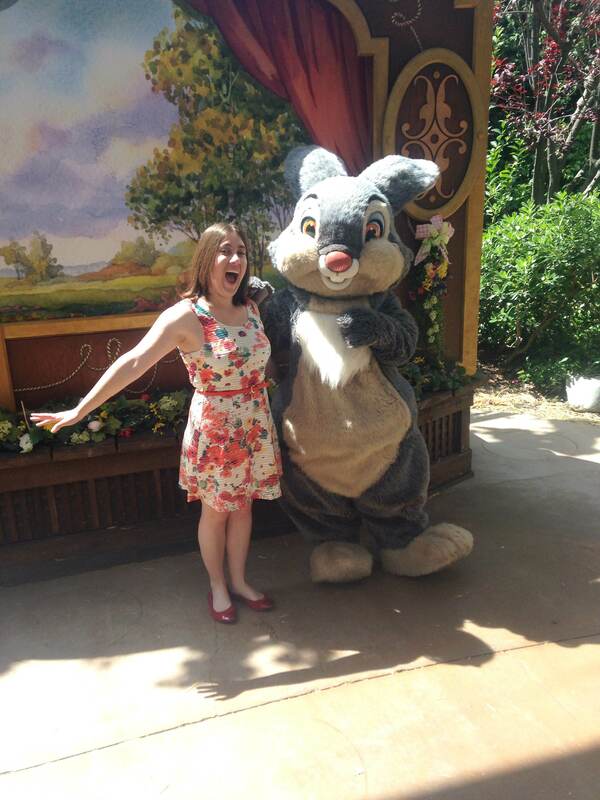 It’s the extra things like this that I love to do at Disneyland. Spring time adventures are the best adventures.